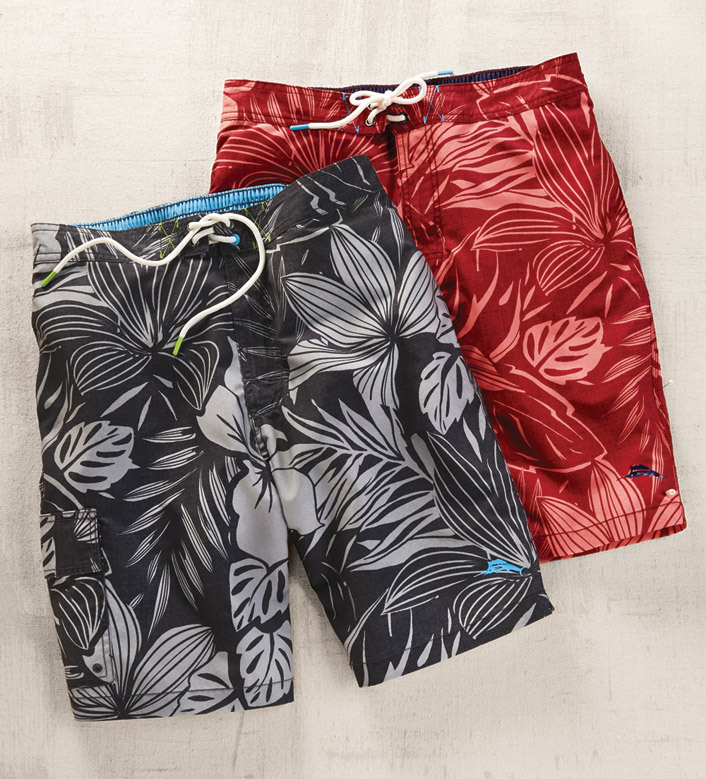 Tropical cool in washed, 100% polyester twill with UPF 30. Half-elastic waist for a personal fit, tie front, side and back pockets, mesh liner. Machine wash. Imported. 9" inseam.